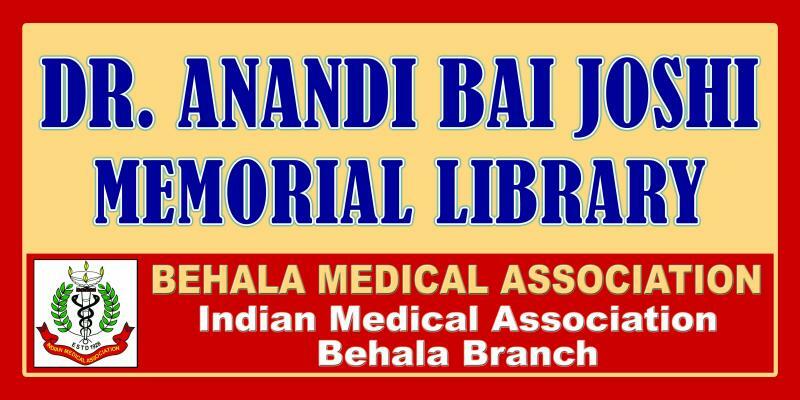 Behala Medical Association (Indian Medical Association Behala Branch) has set up its own Medical Library at IMA House on 13th September 2009. Named after the first Indian Lady Doctor Anandibai Joshi, the library was inaugurated by Dr. Sushil Kumar Bhattachacharya, Branch President amidst much pomp & grandeur. Branch Secretary, Dr. Sanjoy Banerjee, has requested all members to donate any current medical books and journals to the library. He has also requested Pharmaceutical Houses to donate Current Medical Books and Journals if possible. He thanked Mr. Subhankar Gupta of Chikitsa Medicare Pvt. Ltd. who gifted the two book-cases for the Library.